When 3D was introduced for home viewing on TVs and video projectors, it was hyped as the greatest thing since sliced bread by some and was greeted with a lot of negativity by others. No matter what side you were on, there was certainly a lot of confusion with regards to how it worked (passive vs. active) and what consumers needed to be able to take advantage of its "benefits." As 3D started to become available, one question that commonly came up was whether buying a 3D TV or video projector meant that everything you watched was going to be in 3D and that you couldn't watch regular 2D TV anymore. All 3D TVs and video projectors for consumer use have the ability to display standard 2D images, just as all HD and 4K Ultra HD TVs. In fact, 3D TVs and video projectors are also excellent 2D display devices since the 3D feature is usually reserved for higher-end models. If you have a 3D-enabled TV or video projector, it will automatically detect whether an incoming signal is 2D or 3D. If the signal is 2D, it will display that signal normally. If a 3D image is detected, one of two things may occur. First, the TV or video projector may automatically display the image in 3D. On the other hand, your TV or projector may display a screen prompt informing you that the image is in 3D and whether you want to view it in that manner. If so, it may also prompt you to put on your 3D glasses. In addition, another aspect of 3D implementation that has caused confusion is that some 3D TVs (and video projectors) also incorporate technology in select models that can convert 2D images to 3D in real time. Although this is not the same as watching 3D-produced content, the real-time conversion does add depth to an ordinary 2D image. Live or taped sports showed off this process the best, but there is a tendency to mid layer or display a folding effect on some foreground and background objects. When applying 2D-to-3D conversion to 2D DVD or Blu-ray Disc movies is not nearly effective as watching such content in natively-produced (or professionally converted) 3D - if you really want to watch movies in 3D, purchase a 3D-enabled Blu-ray Disc player and purchase Blu-ray Disc packages that include a 3D version of the movie or content. For 3D TVs and video projectors, support up to 240Hz motion processing, and up to 120Hz screen refresh rate for each eye when running in 3D mode is usually provided, which optimizes the 3D viewing experience in terms of motion. On the other hand, keep in mind that activating the 3D viewing option does result in a slightly dimmer image, so it is best to optimize your TV or video projector settings to compensate. Another important point is that the highest native resolution for 3D content is 1080p. If you have a 3D-enabled 4K Ultra HD TV and are watching 3D content, it is upscaled from its original resolution. Although some 4K Ultra HD TVs (pre-2017 models), and, so far, all 4K video projectors) can display 1080p 3D content, 3D specifications have not been included for 4K Ultra HD content. 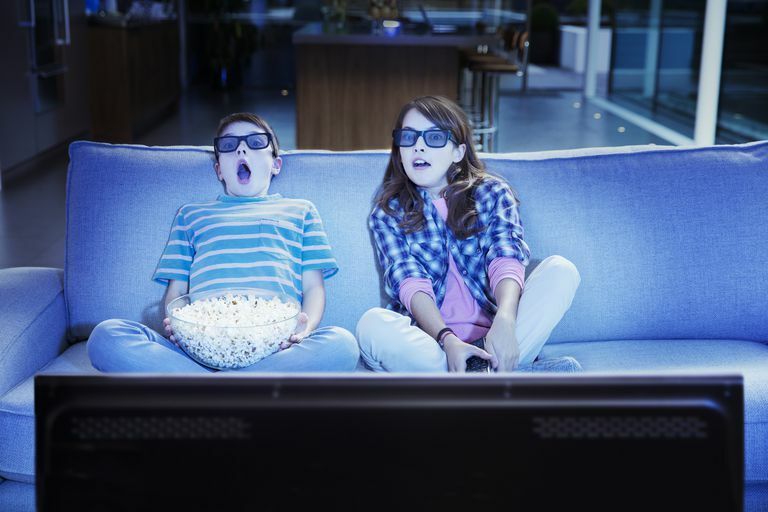 There is a misconception believed by many consumers that you can only watch 3D or a 3D TV. However, that is not the case as you can enjoy both standard 2D and 3D viewing at your discretion. However, for those that partake in the home 3D viewing experience, enjoy it while you can. In 2017, production of 3D TVs was discontinued, although there are still many in use. In addition, the 3D viewing option is still available on a large number of video projectors (which is actually the best way to watch 3D). There are also several hundred 3D Blu-ray Disc movies available for viewing and are still being released as long as there is demand.